Achieving low-carbon and sustainable mobility systems is a challenge in the context of expanding urban areas across the world. It’s therefore useful to take a close look at recently introduced public policies to see how they are likely to contribute (both as singular measures and jointly in a mix of other policies) in the development of sustainable mobility. In this post, I summarise a recent scientific paper analysing selected recent transport policies measures in the context of urban form in Helsinki, Finland. Climate change is a key challenge for today’s transport systems, and calls for sustainable transport and low-carbon mobility are growing louder. These calls go beyond incremental change and point towards a more fundamental system transition in transport systems. Public policies have a role to play in supporting system transition towards low-carbon mobility. These fundamental changes require not only new transport technologies, such as electric vehicles, but also changes in urban form. Urban form as a concept covers the spatial distribution of land use, transportation systems and urban design. Urban form can be described to involve three different, partly overlapping urban fabrics: walking city, transit city and car city. These urban fabrics have developed over time from older walking cities to transit cities and further to automobile cities, while all three fabrics still co-exist with their own particular features. Source: Makinen et al. 2015, adapted from Kosonen 2014. The development of urban form and urban fabrics is a slow process. 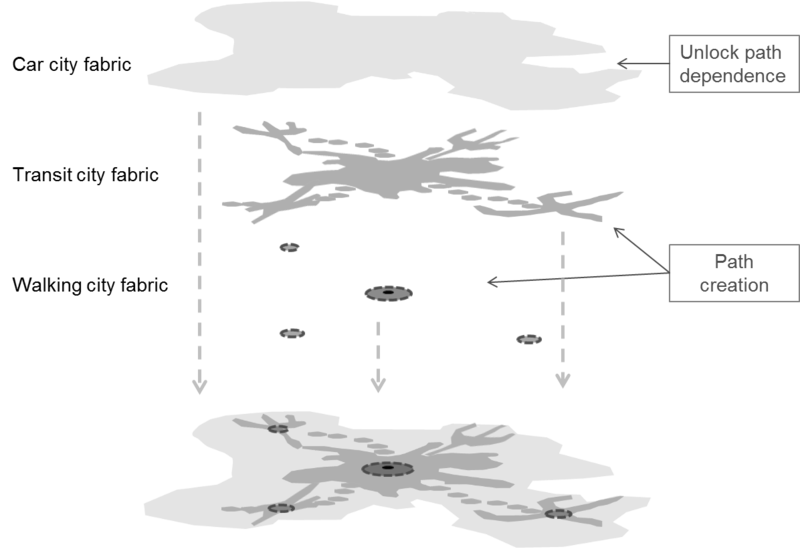 Existing structures determine present and future courses of action, including the influence of public policies on transport modes and patterns. At the same time policies have the potential to influence the different urban fabrics. The development of both urban form and transport systems can suffer from path dependence. This means that a given path, such as fossil-fuel based transport using predominantly private combustion engine vehicles, can initially appear to be the best choice. However, later on, various system components, such as the build-up of surrounding infrastructure, urban form, institutions and established practices, cause this path to persist even when it becomes inferior to an alternative. Ideally, policies and policy mixes, in particular those policies that have been recently introduced, should support low-carbon mobility transitions,. Therefore, my colleagues and I from the Finnish Environment Institute took on a task to examine a set of recently introduced policies influencing the transport domain. We examined six policy measures from the perspective of whether they support the creation of new low carbon paths, destabilise the dominant fossil fuel and private vehicle based transport path, or maintain path dependence. We studied three city-level and three national-level policy measures. Interestingly, what we found is that a single policy measure can create multiple – and sometimes conflicting – signals for urban mobility transitions. In Helsinki, its residential parking policy and the metro extension westwards indicate elements of path dependence, path destabilisation and path creation simultaneously. The likely effects of a recent policy measure depend on the conditions it operates within and the mix of other policy measures it is implemented alongside. For example, the metro extension may in places increase car travel. For instance, if park-and-ride facilities encourage people to move further away from city centres, designated bus lanes are converted to regular car lanes when bus routes are replaced by the metro, and/or if people previously using the bus revert to private vehicles in the face of multi-modal journeys. On the other hand, the metro extension spreads the scope of the transit city and may create new walking city fabrics around new metro stations, attracting new public transport passengers who do not like using buses. Of the recently introduced transport policy measures that we studied, those that can be described as policy innovations were more consistent in terms of facilitating low-carbon path creation and the destabilisation of high-carbon transport. These included a novel, on-demand bus service Kutsuplus, a cycling highway Baana, and a bicycle centre in a central nodal point in the city of Helsinki. All of these policy measures were carried out at the city level. The Kutsuplus service, for example, may contribute to destabilising the car city fabric, promote new path creation in the transit city fabric, and might nurture new collective-mobility-based transport systems, if and when combined with other new transport services. On the basis of examining six recent policy measures, it is clear that we need mixes of policies that are synergistic. They should provide coherent signals across policy domains and administrative levels. Previously calls have been made for better coordination of transport, housing and land use policies – not only in Finland but also in the UK. Based on our analyses, transport policy for low-carbon mobility also needs to be aligned with national employment policies influencing commuting patterns and distances and the economic policies of cities. Many recent transport policy instruments also require support from auxiliary measures to be effective within a low-carbon mobility transition. Source article: Mäkinen, Kirsi; Kivimaa, Paula; Helminen, Ville (2015). Path creation for urban mobility transitions. Management of Environmental Quality: An International Journal, Vol 26, Issue 4, pp. 485-504. Dr. Kivimaa is Senior Research Fellow at SPRU working for the Centre on Innovation and Energy Demand (CIED). Her previous research ranges from climate, energy and environmental policy analysis from the perspective of innovation to examining change and stability in energy and transport systems. Her current research interests include policy analysis from low-carbon innovation and transition perspectives as well as policy complementing approaches to support low-carbon innovation, such as intermediation. She has a BSc in Environmental Science & Business Management (University of Westminster, 1997-2000), an MSc in Environmental Technology (Imperial College, 2001-2002) and a PhD in Organisations and Management (Helsinki School of Economics, 2004-2008). 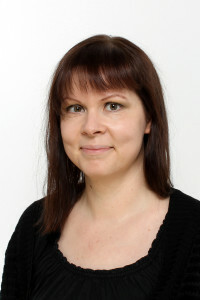 Prior to joining SPRU she has worked for 12 years as a researcher in the Finnish Environment Institute (SYKE). She has since 2012 been Docent in the Department of Management and International Business at the Aalto University School of Business, Helsinki.